Your Roof Is a Big Investment. Our Contractors Offer the Best! HCI Roofing and Construction of Louisville is here to deliver the absolute best results for every building. Our team has successfully installed thousands of roofs, and we’re confident that we can provide an exceptional, affordable result for your home or business. If you’re in need of roofing repairs, our experts have the training and experience needed to deliver an ideal outcome. And many more roofing products! For many Kentucky residents, their home’s roof does not receive much thought. In fact, we’d go so far as to say that your roof should be seen as a silent hero, dutifully providing comfort and protection to the occupants residing within. In order to avoid costly roofing repairs, it’s essential to be mindful of the condition of your roof. When it comes to any issues with your Louisville roofing, we can help! HCI Roofing and Construction is your go-to roofing contractor for anything to do with the roof and gutters of your place. As a locally owned and operated roofing company, we strive to exceed our client’s highest expectations by focusing on quality and integrity. Our goal is to provide you with the best results possible! While we would love to see you, we understand that citizens want to call for repairs as rarely as possible. To help with this, today’s blog will focus on some tips that can make winter easier on your roofing. Before the next big snowstorm hits, it’s important to inspect your roof to ensure that all of the debris and junk that can pile up there is not doing so. Over time, this organic refuse will pile up in your gutters, causing clogs. Leaving this debris on your shingles is also not conducive for the long-term health of your roofing system. Mold and moisture can work in tandem to eat away at your shingle’s integrity, possibly leading to future leaks and failures. HCI advises that you clear the roof now to avoid headaches in the future. Continuing on the importance of clean gutters, we fully advise checking on their condition throughout the year, especially at the end of the fall season. 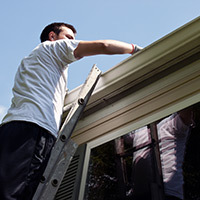 Clogged gutters can lead to excess water buildup. When this water freezes, the ice begins to form an impenetrable dam that serves to cause more backups and flooding. If your home loses the ability drain moisture away, the results can be catastrophic! If the water resides on your roof for a considerable amount of time, eventually moisture can begin seeping into the attic, siding, and foundation of the home. As any roofing contractor will tell you, water is the last thing you want in your home’s structural components! The act of trimming overgrown or unhealthy trees on your property can do much to assuage the fear associated with having a branch come crashing through your roof. The winter season can put a lot of strain on trees, especially after a heavy snowfall occurs. Be sure to address any iffy branches within close proximity of your home. 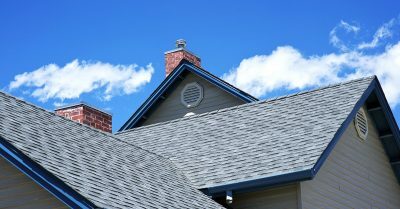 Roofing inspections can be invaluable when it comes to the long-term condition of your roof. Hiring a professional is a wise tactic when looking for hidden problems that may or may not lead to future problems. As long as safety precautions are taken, homeowners can inspect the roofing themselves. Make sure to only go out and inspect your roof when the conditions allow it. An ounce of prevention is worth a pound of cure, and HCI strives to keep people on the prevention side! When it comes to your Louisville home’s roofing, there are a lot of steps that can be taken to keep everything safe and sound. If you’re in need, hiring a professional roofing company is always a wise choice. With the tools and expertise needed to get the job done, our technicians are prepared and ready to impress you. For the handier crowd, self-inspections and cleanup services are a good way to also keep the roof looking good. Being proactive is the main point of this endeavor, and we’re sure that putting the time in now will save many headaches down the road. If you’re in need of a top-notch roofing company, feel free to contact us today to learn more!